Changing lives — YUMMY PUBs. Giving back is a big thing in human nature, it's a gift we all have & if you embrace it, we believe great things can happen. We have two very close relationships in Yummy, the first with The New Horizons Youth Centre, our next door neighbours at The Somers Town Coffee House, Euston & the second with Team Margot, both different causes, but fundamentally changing peoples lives. Phil & his amazing team next door have been helping vulnerable teenagers in London since 1967 (obviously they've not been there that long, but the organization has!) & we're extremely proud to be a part of changing teenagers life choices & futures. Initially we began by training individuals on our Yummy Academy for two weeks to see if they wanted a career in hospitality. From the initial success stories we began employing guys & girls full time back in 2012. We have helped a huge number of kids find their feet, establish themselves to save money & get their lives back on track. We still have lots of them in the business, serving our customers day in day out. We are very proud of them & the work we are able to do with the support of the amazing team next door. They are always looking for new partners, sponsors & supporters to help them not only keep the facilities already at the centre, but to broaden the reach, create new opportunities for London's often forgotten secrets. If you're here, looking at us & thinking you could get involved, have a look below at what they are achieving & contact the centre to get involved. The below video will give you some insight into what it’s all about. We are incredibly fortunate to have Keith Knowles OBE, founder & owner of Beds & Bars the pan-European, backpackers & bars business as our chairman of Yummy. Keith has been our chairman since 2015 & has had a huge impact on our business & the three of us personally. He brings a sense of professionalism, passion & direction to our business. Keith is dedicated to making a difference to peoples lives, involved in a huge number of charities, professional bodies & organizations. He's one of those chaps who can command a room with one swift sentence, but a proud campaigner for how amazing our industry is & the difference it makes to lives around the World. 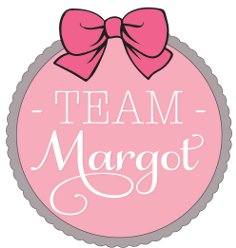 Team Margot is not about raising money, it's about awareness, especially in the youth. It turns out just about everyone that works for us fits the bill - maybe not right now, but potentially in the future. So, as well as Keith's salary for being our chair, which he donates in it's entirety to Team Margot, we made a commitment to Margot's family we would raise awareness of the stem cell register to anyone who would listen. Every month we brief new members to Yummy about the foundation, the work they are doing, the difference they are making to peoples lives, the choice is theirs if they want to wear the wrist bands or register, there is no pressure, but as we tell them, it's probably now just a little prick in the bum (if you're lucky) & you could save a child's life.